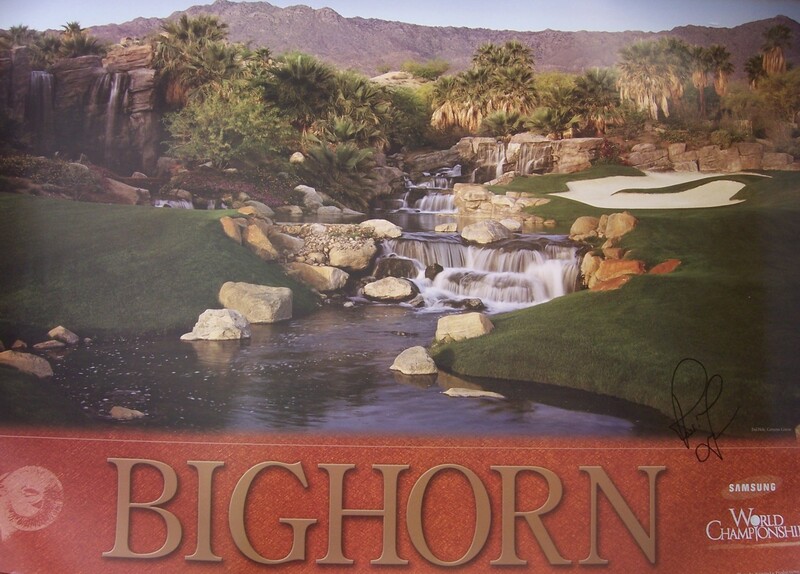 Spectacular 24 by 36 inch heavy paper poster of Bighorn Golf Club (former home of the LPGA Samsung World Championship) autographed in black marker by former LPGA star Rosie Jones. With certificate of authenticity from AutographsForSale.com. ONLY ONE AVAILABLE FOR SALE.